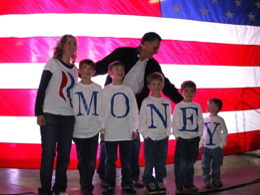 As Romney campaigned for the Presidency, this picture started to circulate online, accompanied by the caption: "Romney's family misspell their last name in the greatest Freudian slip in history." 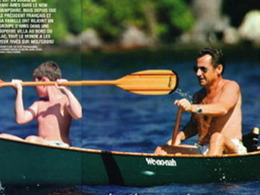 However, that's not Romney's family. It's actually the Fisher family, who got up on stage with him during a campaign stop in Elko, Nevada. 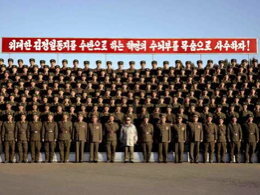 They wore t-shirts that did correctly spell his name. The misspelling was the result of photo alteration. The woman shown above is Rathika Sitsabaiesan, a Canadian MP. 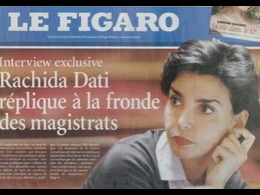 The image on the left was her official parliamentary headshot. But in Sep 2011 a blogger noticed that although the image still appeared on the parliamentary website, it had been altered to the version on the right in which her cleavage had been digitally erased. It's not known who ordered the alteration. Sitsabaiesan has not commented on it. 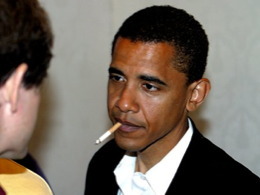 Obama admits to being a smoker (trying to quit), but this picture of him smoking was faked. 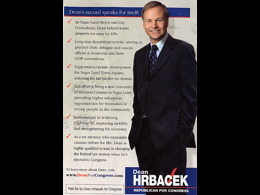 In this flyer distributed by Hrbacek's campaign, the candidate's head was pasted onto the body of a significantly slimmer man. This fake picture caused a scandal in Malaysia because it appeared to link the country's deputy prime minister to the murder of a young woman. 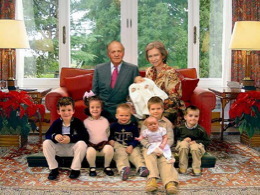 Unable to gather for a photo shoot, the Spanish royal family instead digitally assembled for its Christmas holiday photo. 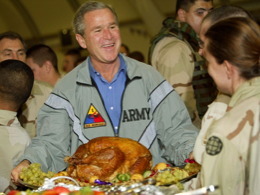 Created in 2005. 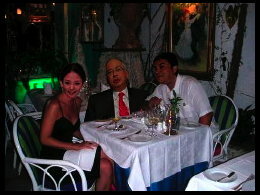 Circulating online since 2008. Artist Alison Jackson uses lookalikes to create images of "celebrities ostensibly caught unawares." 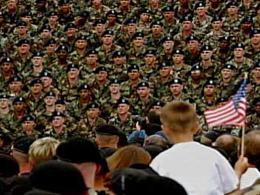 An ad released by Bush's 2004 presidential campaign showed a crowd scene from which the President had been digitally removed. 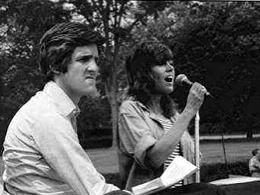 Not only had Fonda not shared the stage with Kerry, she hadn’t even attended the rally shown here. 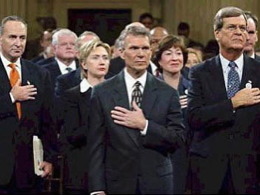 Senator Daschle's hand was digitally flipped to make it appear he was repeating the Pledge of Allegiance incorrectly. 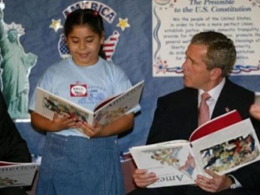 In the original version of this photo, President Bush's book was not upside-down. 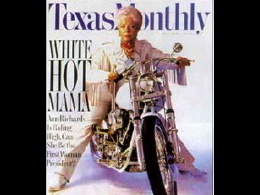 Ann Richards, governor of Texas, appeared on the cover of Texas Monthly in a "Bad Girl" pose astride a white-and-chrome Harley-Davidson. But Richards hadn't posed for the photo because she was unable to schedule time for a photoshoot. Texas Monthly created the shot by combining a stock photo of her head with a picture of a model. 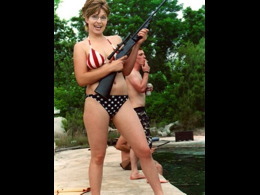 Richards later said that she loved the photo. 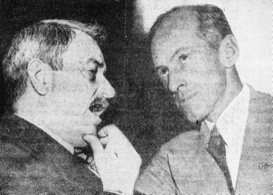 As payback for a political slight, the staff of Sen. Joseph McCarthy created a photo that appeared to show Sen. Millard Tydings (right) chatting with the head of the American Communist Party (left) — although in reality the two men had not met. They released the photo shortly before a 1950 senate race in which Tydings was running, and it is believed to have contributed to Tydings' defeat in that election.